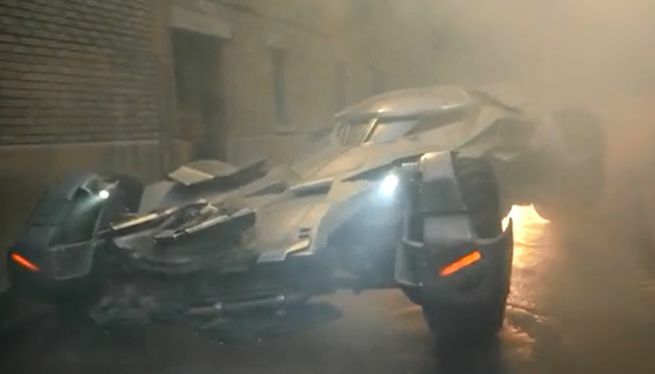 After the official release of the staggering teaser trailer that promises a “Clash of Titans” battle and meeting between the Man of Steel and an aged Dark Knight vigilante, Warner Bros. and Zack Snyder have released a few more juicy nuggets for fans and comic book lovers to see online, as new promotional material has appeared for the DC Cinematic Universe film “Batman v Superman: Dawn of Justice“! Taking to his official Twitter account, director Zack Snyder released two exclusive posters that will appear and be given away at the special “IMAX teaser screening” event for BvS that will be held in select theaters in the US and Canada. 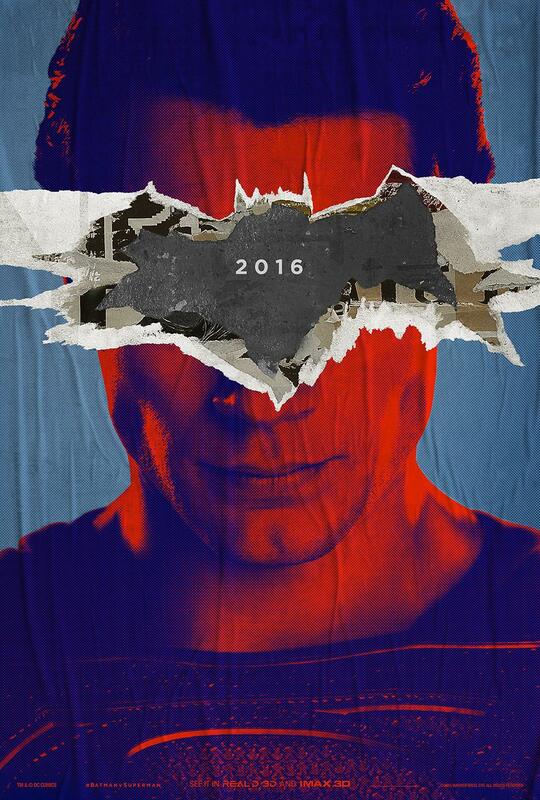 The two posters show off mugshots of Henry Cavill/ Superman and Ben Affleck/ Batman, with both of their heads covered with their “rival’s” respective symbols. 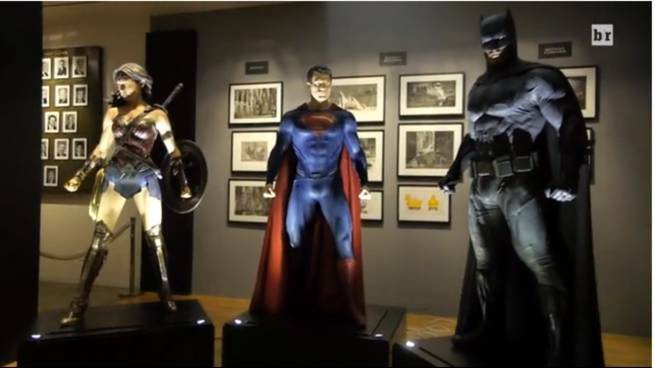 Meanwhile, NBA star and Los Angeles Clippers player DeAndre Jordan got the biggest surprise ever, as a new video feature from BleacherReport (via Comic Book.com) sees the BBall player visiting the Batman Exhibit at the Warner Bros. VIP Studio Tour Hollywood just before the NBA Playoffs… To get an up close and personal look at the new Batmobile and superhero suits for Batman v Superman! 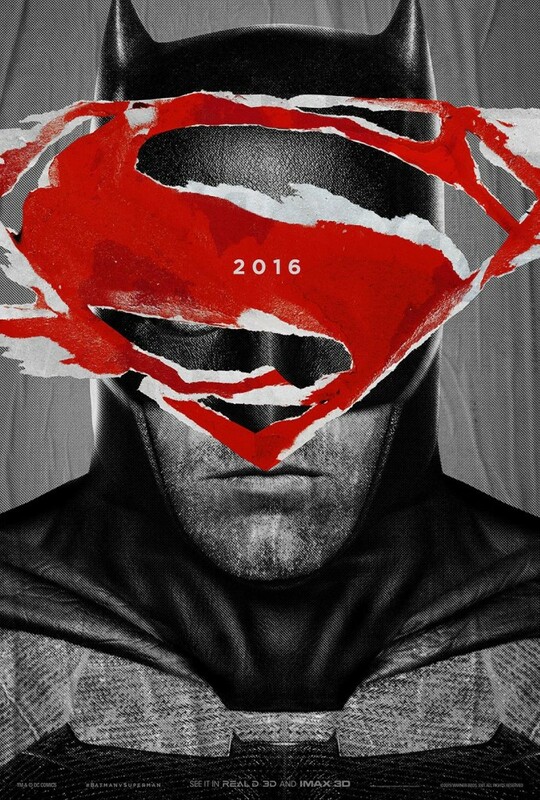 Batman v Superman: Dawn of Justice will be released in theaters on March 25, 2016!